Who else loves the taste and more importantly the smell of cinnamon?!?! Seriously, cinnamon reminds me of Autumn…my favorite season. I might be slightly biased since I am born in November, but hello all great things are associated with Autumn. Football season, changing colors of the leaves, cozy layers, everything pumpkin, the start of Holiday Season…oh yes Fall is perfect. I am a firm believer that cinnamon-boosted baked goods should be enjoyed throughout the year. Everyone smiles a bit wider when they walk through the door and are engulfed in the aroma of cinnamon and know a yummy baked treat is waiting. It’s almost as exciting as walking through the door to your excited puppy. 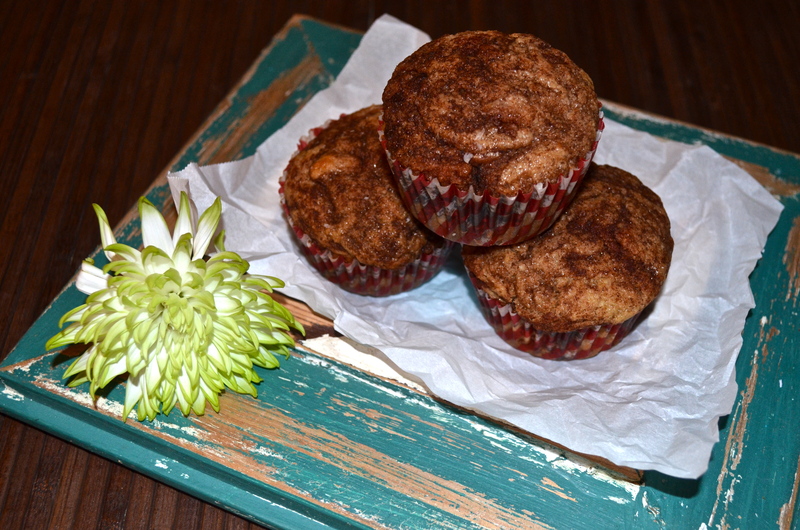 I decided to surprise Andrew with some fresh from the oven, cinnamon swirl muffins this week. I did not want to make any special trips to the grocery store so I decided to get creative with my pantry and refrigerated goods. Usually I feel that baking is a science, but these muffins seriously came together with no effort. They are moist and not too dense. The perfect balance of cinnamon and sugar. They taste even better warmed up in the morning with a cup of piping hot black coffee. Hello work day, with a little extra swagger in my step! 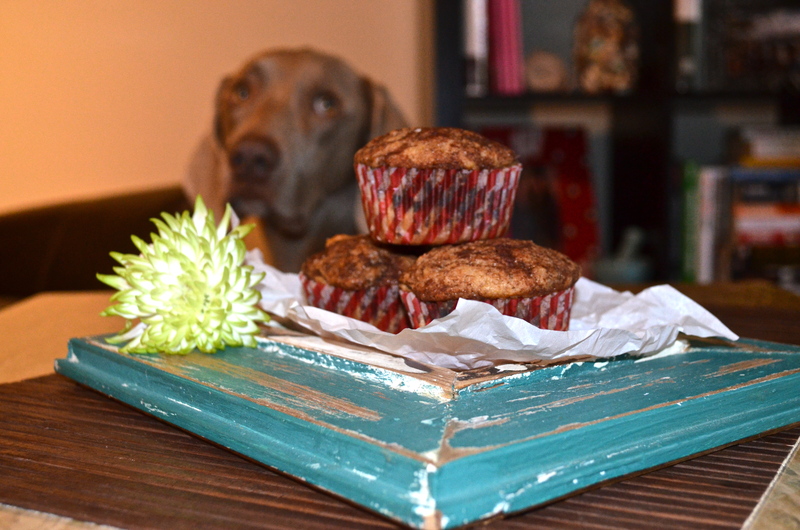 Look who wanted to be a part of the photo shoot or wanted a bite of muffin hehe. Preheat over to 350 F and line cupcake tin with liners. Combine dry ingredients for the batter in a small mixing bowl. Set aside. Using a hand mixer or in a stand mixer, whisk egg whites and sugar. Add greek yogurt, coconut water, and vanilla extract mixing until well combined. Slowly incorporate dry ingredients into wet ingredients. Do not over-mix the batter. Whisk together ingredients for the cinnamon swirl. Set aside. Scoop muffin batter evenly into muffin tins ~3/4 full. 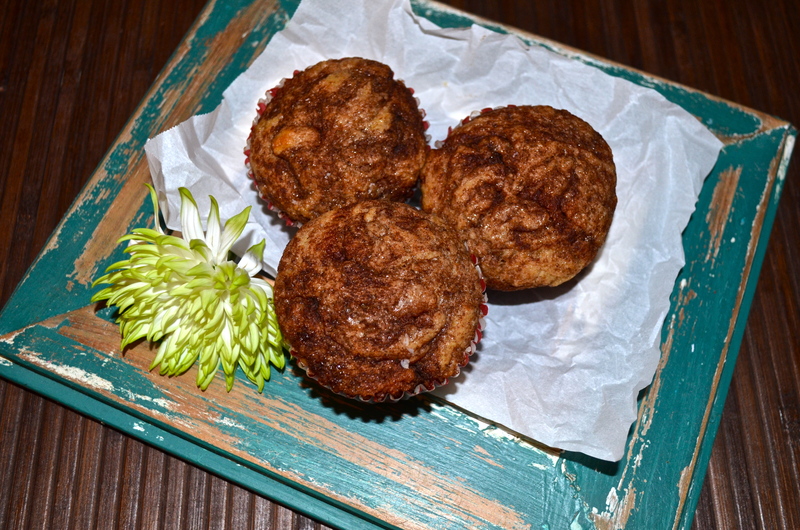 Divide cinnamon swirl among muffins, ~1/2 tsp per muffin, and use a knife to swirl into muffin batter. Bake for 20 minutes, until toothpick inserted into center comes out clean. Allow to cool. Store in air-tight container in the refrigerator.